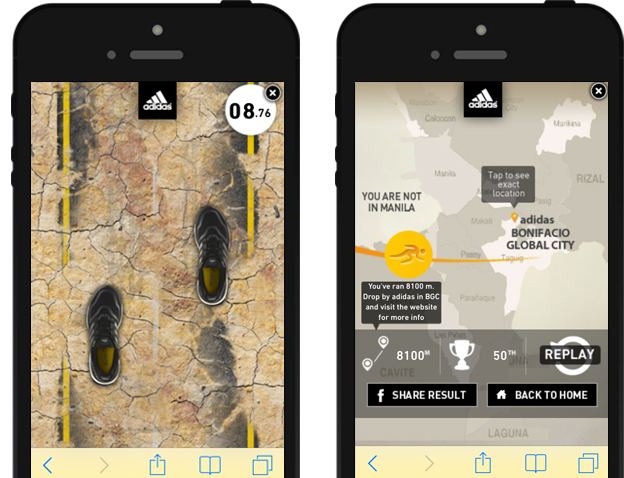 Adidas partnered with InMobi and iProspect to launch Boost - a revolutionary shoe. Adidas launched ‘Boost’, a revolutionary shoe with a new cushioning technology for its consumers in Philippines in February, 2013. The marketing campaign needed to target people who were always connected to their handset devices. Accordingly, the brand decided to focus on mobile as a medium to reach out to its audience. Adidas launched ‘Boost’, a revolutionary shoe with a new cushioning technology for its consumers in Philippines in February, 2013. 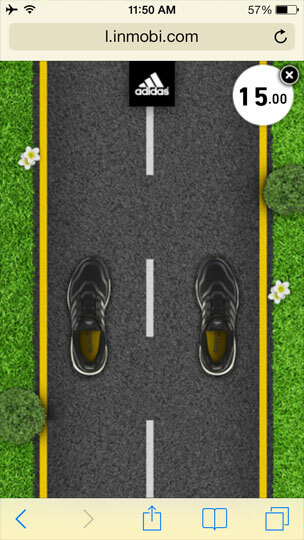 InMobi and iProspect crafted an interactive HTML5 ad-unit which enabled users to “run” through difficult terrains, and also in different conditions. The ad-unit’s innovation lay in comparing an individual’s performance against other runners in the neighbourhood, using the location tracking functionality and displaying the results on a custom map. Impressive user engagement with average visit duration 60 seconds Average CTR was 1.27%, with a peak daily CTR at 2.02%.